Wajatta (Reggie Watts & John Tejada), Jlin, Blawan, Nicola Cruz, Circle of Live, Lotus Eater (Lucy & Rrose), Sinjin Hawke & Zora Jones, Ash Koosha, Gaika, Gudrun Gut, Beta Librae and more! Launched in the year 2000, MUTEK was born at a time of transformational computational power—dedicating itself to the presentation of live electronic music and real-time audiovisual performance, making it one of the rare outlets in North America for such innovations. After 20 years, the festival’s future-seeking mandate has matured—and while the promise has in many ways caught up with the present—its commitment to the ongoing mutations and variations of contemporary digital creativity remain, with its eyes and ears still fixated on what comes next. In the spirit of celebrating this milestone, the festival extends to 6 days and nights—and integrates the professional forum IMG into the architecture of the week to enrich conversations and encounters with current technologically driven practices and philosophies. Building on last year’s gender parity and diversity initiatives, the Amplify project rejoins the program. Novel new venues and other special projects will be revealed in the coming weeks. Plugged into a global circuit since inception, creating an international rendezvous for artists and publics alike, the festival thrives on creating a context for discovery and exchange—it also magnifies Montréal, not just as its urban backdrop, but as the source of so much of its creative soul; the local is always elevated in dialogue with exceptional artists from around the world. The ongoing emphasis on quality production and a trajectory of programming that encourages an immersive journey through genres and experiences in a human-scale environment, continues to distinguish MUTEK amongst its peers. MUTEK has built a unique model over the years that has proven seductively exportable. Tentacles stretch across 4 continents, to 6 other cities now, with each satellite adapting the festival’s template of values as a means to inspire new ways of engaging with the richness of electronic and digital artistry. The 20th anniversary celebrates all of these network effects. Every edition of MUTEK revels in introducing audiences to groundbreaking artists whose performances are presented for the very first time at the festival. This year offers a cornucopia of compelling new names to the program. Making his North American debut, Blawan delivers a body blow with a live set of his clobbering warehouse techno. British rapper and experimental producer GAIKA—called "electronic music's answer to Basquiat", presents the Canadian premiere of his new live A/V, built from his latest release on Warp records. Russian duo 404.zero deliver the Canadian premiere of Jetlag—an immaculate single channel A/V show with a monolithic screen set up and an integrated live, modular synth soundtrack. Iranian composer, futurist and multi-media artist Ash Koosha performs YONA, a holographic, CGI-enhanced AI pop idol whose lyrics, expressive voice and chords are churned out via generative software. Sinjin Hawke & Zora Jones have concocted Fractal Fantasy a glossy, live audiovisual performance that combines motion capture, vivid computer generated environments and their hi-fi club music. A MUTEK debutante, but a seasoned veteran of post-punk with Malaria!, industrial pioneers Einsturzende Neubauten, and of the German electronic music revolution in general, it’s a first for Gudrun Gut at the festival. The mercurial American producer of many names and styles—fluctuating between pseudo-industrial, subterranean house and delicate ambient, Huerco S. provides a live rendition of his woozy, languorous, wide-screen musical personality. Matt Karmil, a British producer with a penchant for hissy, fuzzed-out minimal house washes up on our shores. NY-based Beta Librae basks in dub-ish house-techno spiced lightly with reggaeton. Congolese-born, London-based Nkisi’s live set brims with trance tones, barbed, quick-witted beats and unhinged Afrocentric polyrhythms. And this year’s coveted Saturday night DJ slot is filled with the eclectic selections of UK producer Call Super. Programming veterans and alumni provides essential insight into the ongoing evolution, maturing craft and refinement of live electronic music and audiovisual performances. This year MUTEK hands an entire evening program to the epic, all-live, all-improvising, rotating collective Circle of Live—an unprecedented programming decision that will see Sebastian Mullaert (Minilogue) conduct a cast of seasoned musicians through a six hour electronic music jam—featuring Mathew Jonson, Johanna Knutsson, Matt Karmil, and Dorisburg. 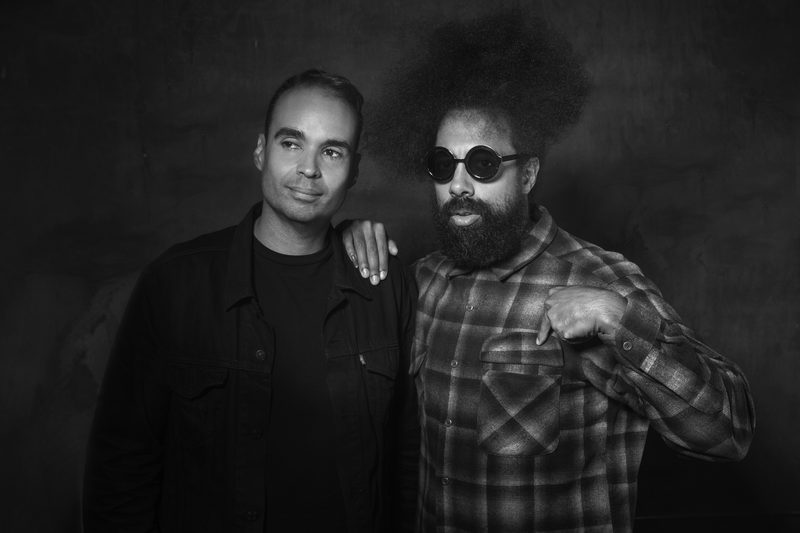 The not-as-strange-as-you-think duo of producer John Tejada, who has played at the festival more than a few times, and well known American comic, actor, vocalist and late-night TV bandleader Reggie Watts, arrive with the Canadian debut of their groovy, performative house-techno-funk project Wajatta. A foundational pioneer of art-house-house music and dulcet experimental sound designer Jan Jelinek (also known by beloved moniker Farben), makes a return with Zwischen, a sonic narrative about celebrity, featuring sampled cameos from Yoko Ono, Lady Gaga, John Cage, Slavoj Žižek, Karlheinz Stockhausen and Marcel Duchamp. It’s a world premiere for subassemblies by Japanese A/V alchemist Ryoichi Kurokawa, a master of impeccable synaesthetic composition, presenting the screen iteration of his latest multi-faceted project based on 3D data of ruins. 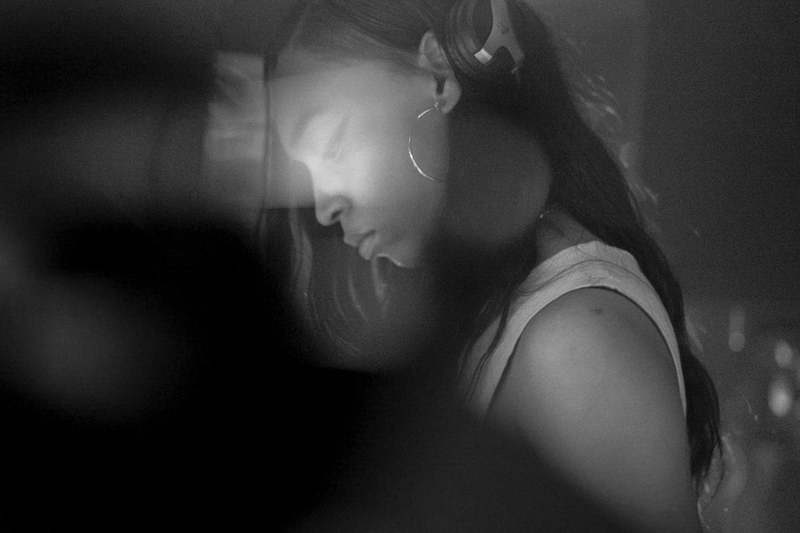 Debuting her earliest live set at MUTEK 2016, artified-footwork queen Jlin makes her triumphant return—this time using the big stage to spread her charismatic beat gospel. Two powerhouse contemporary techno scientists—Rrose and Lucy, team up as Lotus Eater for a mind-expanding body-inciting live set replete with ominous psychoacoustic effects. Ecuadorian Nicola Cruz makes an exclusive (re)appearance with his mix of indigenous instrumentation sampling, and avant-cumbia swing. Andreas Tilliander, the man-machine whiz known as TM404—his on-the-spot-composed, acid-tinged dub and techno project, last appearing in 2014 as part of Richie Hawtin’s ENTER program, hits the MUTEK stage again with even more realized workmanship. A legacy artist from the earliest editions in Montréal, Dandy Jack (Martin Schopf), also helped to broker and realize the festival’s forays into Chile, where he originates. After more than 20 years of production and performance, he remains tuned to the interplay between Latin rhythmic undertow and German influenced club sounds. With half of the final program always reserved for showcasing Québec and Canadian artists, expect much more to come in next announcements. Here are some of the notable “local” luminaries taking the MUTEK stage. Celebrating his 20 years as melodic, groovy, micro-house sensation Akufen, it’s a full-circle return for Marc Leclair, having played the very first edition. Vancouver producer loscil also reappears at the festival after 14 years, with a meditative audiovisual presentation of his latest release Equivalents. The Mole, originally part of the Montréal techno cohort, since relocated to Berlin, gives a live version of his slippery, infectious, house-techno-continuum productions. The multi-dimensional sound artist France Jobin, also a part of the local festival family, teams up with American minimalist Richard Chartier for a dual screen A/V rumination called DUO, with visuals designed by Markus Heckmann. It’s a world premiere for Project Pablo’s new live direction, fusing his previous sunny, hand-made house sound with definite techno effects. Montréal producer Gene Tellem, known for her dub house project Loose Excursions and her crate-diggers DJ sets, promises a brand new solo live set. Learn more about the artists. The full MUTEK Festival Passport is always the best way to experience everything the festival has to offer. It grants access to all the regular paid performance programs, which have expanded in scope this year—making it a considerable value that also encourages a journey of discovery and risk-taking. For those who’d like to dip in later in the week, the Weekend Pass provides access to all regular paying programs from Friday, August 23 to Sunday, August 25, inclusive. There are 2 ways to attend MUTEK_IMG, the festival’s 3-day professional conference that tackles a myriad of contemporary issues related to technology and creation, featuring a cast of international speakers: the IMG Passport gives access to all the daytime discursive activities and the 3 nights of festival performances running concurrent, from August 20-22, inclusive—or you can choose the discursive activities as a stand alone, with the IMG Conference Pass. It’s also possible to combine various passes. Prices currently reflect discounted rates. The full MUTEK Festival Passport rises in price Tuesday, March 26, at midnight (11:59pm) EST.